After the holidays come to a close and the decorations are neatly restored into boxes, our homes tend to appear emptier and drabber. There are no more strings of multicolored lights, sparkly tinsel and fuzzy Santa hats to brighten our spirits. Though this drab feeling will pass with time, and you’ll soon remember what you love about your year-round décor, why not add a bold touch here and there? Little additions to your home’s winter décor will add just enough flare to beat the winter blues! •	Add throw rugs, pillows, vases or other miscellaneous knickknacks in warm, earthy tones that will increase the energy of a room. These tones will lift your mood by reminding you of the warmer days ahead. When those warmer days arrive, your décor will already be ready for them! •	Hang a new piece of framed artwork on your wall. Anything new to your eyes will lift your spirits. Opt to hang a framed picture of your family or friends, from over the holiday season, to remind you of the good times you shared. •	Go shopping at an antique store, a thrift store or a flea market for small and affordable finds. You can add flare to your home without feeling guilty for shopping post-holidays. •	Switch your winter, holiday candle scents with fragrances that will remind you of spring, the season of rebirth. Choose floral favorites or an ocean/rain aroma. •	Purchase some herbs to plant in indoor pots, and set the pots on a windowsill or near a window. The herbs will provide natural fragrances and a healthy addition to meals. When summer arrives, bring the pots outside! •	Replace heavy curtains with light, airy alternatives. These will allow the short hours of sunlight to stream inside, and it will remind you of warm summer breezes to come. •	Drape blankets and throws over your couches and chairs to add new patterns to a room and to have on hand during blistering cold nights. Also, keep fresh logs of wood in the fireplace for a quick strike of a match! •	During winter clearance sales, score some visually appealing mugs and some convenient hot chocolate, tea or coffee mixes. Place packets of hot chocolate or tea inside the mugs, and use these sets as a centerpiece that is easy to reach! Before you know it, you’ll be hanging red hearts and Cupids around your house while you nibble on chocolates. After that, spring will be here before you know it! Most homeowners or renters look forward to showing off their holiday décor this winter, and we love to look at it as much as you love to show it off! However, did you know many house fires and electrical dilemmas occur around this time of year, along with physical injuries? To prevent these possible predicaments, here are some quick and easy safety precautions to follow when setting up your holiday décor. •	Set your tree in a stand that is sized and weighed correctly for the trunk of your tree. In other words, if you chop a larger tree than usual this year, don’t expect your old stand to hold this tree up too. This will prevent falling trees. •	Try to hide your outdoor wires behind bushes, away from the walkway. Inside, have the wires line the outer walls. This will prevent tripping injuries. •	When hanging lights on the roof, have someone hold the ladder in place. Wear shoes that will grip the roof. Hang lights in the daylight. This will prevent falling injuries. •	When lighting candles, use a long lighter or match. Only allow adults to light candles, or children under strict supervision. This will prevent burns. •	Opt for tinsel, garland and other non-metal decorations that are not hazardous if consumed by a child or pet. This will prevent poisoning and choking. •	Wear gloves when dealing with lights, cords and plugs, and work only in conditions that are not overly dry or moist. This will prevent electrocutions. •	Hang heavy or breakable ornaments low on the tree. That way, if they fall from the tree, it will help prevent scattered glass. Also, keep all breakable decorations away from a child’s grasp. •	When picking up heavy boxes filled with holiday décor, bend your knees and use your whole-body strength to lift. This will help prevent back injuries. •	Cover outdoor electrical outlets with duct tape. This will prevent rain and snow moisture to drip into the outlets. Also, make sure the extension cords and lights you use outside are made for outdoor use. •	Use an electrical strip to connect multiple plugs together. Do not attempt to connect one electrical strip with another strip, or to use more wires than there are plugs. This will prevent electrical fires. •	Turn all the lit decorations off at night. This will prevent possible fires. You might also want to consider unplugging decorations too, which will save energy. •	Replace damaged cords and lights. When replacing a burnt bulb, make sure to replace it with a bulb of the same wattage. This will prevent electrical problems. •	When purchasing an artificial tree, make sure the label reads “fire resistant.” With real trees, make sure it’s fresh rather than dry and brittle. This will prevent fires. •	Keep lit candles in clear view, burn out when leaving the house or going to sleep, and keep away from flammable objects, such as the tree. This will prevent fires. •	Do not throw wrapping paper into a fireplace. The paper burns fast and intensely, which could cause a sudden burst of flames. This will prevent fires and burns. •	Clean out your gutters before hanging lights on the roof, and opt for smaller bulbs instead of larger ones. These steps will prevent hot lights from burning dried leaves and starting fires. Last week we offered 10 winter decorating tips for your exterior. Now, it’s time to discuss interior decorating for the winter holidays! Although the exterior is what every guest will view first, it does not have to be what they remember most. In the warmth of your own home, without venturing out into the bitter cold, you can give your personal space cozy ambiance that everyone will want to spend time in! •	In the winter months, daylight disappears earlier than ever. 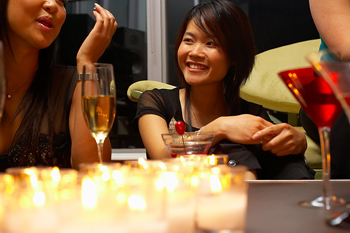 Create a holiday spirit inside by turning your overhead lights on dimmers and lighting an array of candles! Purchase a large candle, tie a bow around it and place it in the middle of a wreath on a table. 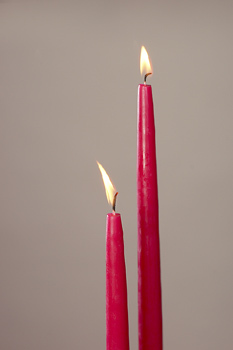 Or purchase numerous small candles and scatter them around each room. Choose wintery scents, like evergreen, gingerbread or cinnamon spice. •	If you have a Christmas tree, it should be located in the largest or most popular room. If your house displays a large front window, setting the tree in front of it is an ideal way to decorate the inside and out! Place a tree skirt around the bottom, where gifts can be placed, and decorate the tree with your personal approach, whether that be lights, garland, tinsel, ornaments or all of the above! •	Can’t decide whether to display a real or artificial tree? Real trees radiate a natural glow and scent, but they are a chore to chop down and attach to your vehicle. Artificial trees are expensive at first, but they are a cinch to set up each year. 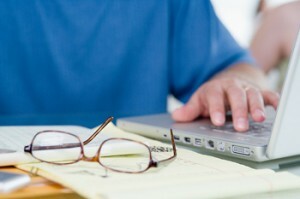 To help you decide, read this past article for more helpful advice. •	If your house contains a fireplace, use this highlight to your full advantage! After all, you’ll want Santa Claus to be impressed when he arrives through the chimney! Line the mantel with lights or garland, hang a wreath above or on the mantel, set Hanukkah candles in the middle of the mantel, hang stockings, or create a nature scene made up of poinsettias, pinecones, pine needles and red berries. On cold evenings, keep the fire burning brightly! •	To make every meal this month more special, create a memorable centerpiece for your dining room or kitchen table. Purchase one already made, or fashion one yourself! This could be made with candles, roses, poinsettias, wreaths or homemade creations. For example, set up a sleigh on the table, with or without reindeer, and fill the sleigh with post-dinner treats! •	Afraid of the environmental impact that your decorating will produce? Read this past blog about how to have a green Christmas. 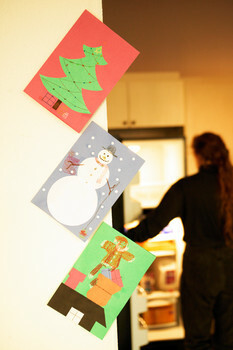 Decorate with recyclable items, host a green dinner party, and reuse your decorations after the holidays! Read the article for more great advice. •	Holidays are not the time to skimp on homemade goodies! When hosting guests, showing your home to potential home buyers or just enjoying a Saturday afternoon at home, fill your kitchen with natural scents! Bake sugar cookies with holiday cookie cutters, create a gingerbread house masterpiece to display, brew up some flavored coffee or provide a bowl of marshmallows to accommodate the never-ending mugs of hot cocoa! •	Add little knickknack décor to end tables, coffee tables and windowsills all around your house! In many minds, it’s nearly impossible to overdue it with holiday decorations (unless, of course, you’re in the process of selling your home). Examples could include nativity scenes, sleighs, Santa, reindeer, holiday containers full of candy or mints, scented candles, bowls of pine cones, leaves sprayed in silver or gold, etc. Pretty much, anything goes. •	Use a staircase or balcony railing to your advantage. Wrap it with garland and lights, attach bows, hang holiday stockings from it or hang ornaments in each opening. This is a great space for adding eye-catching vibrancy! •	Don’t celebrate these popular holidays? 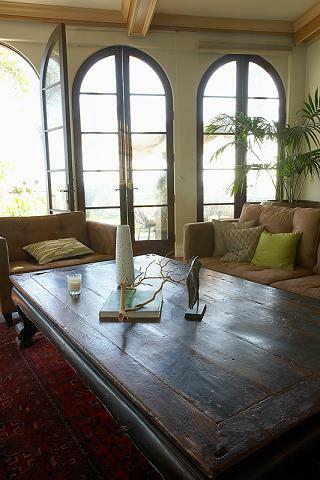 Still enjoy your cozy, warm interior during the upcoming cold months ahead! Keep a fire in the fireplace, with marshmallows nearby to roast. Bake sugar cookies. Decorate with pine cones, pine needles, etc. Light scented candles. Lots of these holiday decorating ideas can be used by anyone, anytime! As always, if you’re in the process of selling your home, your winter holiday decorations should be kept to a minimum. You don’t want a potential home buyer to concentrate on your decorations rather than your home’s permanent features. If you’re just looking for decorating tips for an upcoming holiday gathering, you can decorate as much as you wish! With that said, here are 10 tips for sprucing up your exterior for the upcoming winter holidays. •	Steer away from the current fad for holiday lights. Though it’s tempting to choose the latest fad or newest type of decorations on the market, it’s better to stick with what will attract the greatest number of buyers. Also, when you steer away from the fad, the lights will cost less! •	To noticeably become the brightest house on the block, decorate with pure, bright white lights. 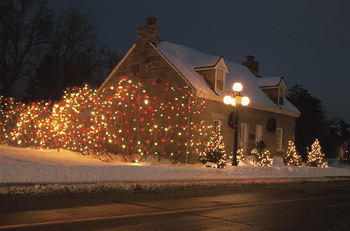 Line your roof with large bulbs of white lights, and fill your bushes and front porch posts with smaller white lights. No one will ignore the sight, and you’ll have a classic elegance sure to appeal to everyone. •	Don’t forget about your backyard! If the backyard is visible from the street, or if party guests will be hanging around outside, hang lights around your patio or deck. If you have an exterior speaker system, softly play your favorite holiday tunes. •	Though the daylight hours are shorter this time of year, don’t forget to decorate for daylight, too. Surround posts with simple strands of green or silver garland, and then attach red bows to the garland. Hang a holiday wreath on the front door, filled with pine cones, red berries or silvery leaves. •	Plant a classic winter plant in your garden or in a pot on the front porch. Choose a plant that is native to your locality. So, depending on where you live, choose from poinsettias, white hydrangeas, Christmas cacti, mini pines or any other favorite! •	Make the walkway to your front door stand out by surrounding the sides with outdoor candles. Or, flank the walkway with red and green lights or multi-colored lights. You could also line the sides of your driveway, which is especially helpful when guests are trying to locate your house. •	Use the space that your front lawn supplies. Fill it with numerous small figurines, or decorate with one major scene. Ideas include decorating one giant tree that grows in your yard, setting up a North Pole scene of elves and toys, setting up a nativity scene or plugging in a blowup Santa Claus or snowman. Just remember to choose carefully and to not overdo things. •	Instead of lining your rooftop with lights, opt for a more convenient option of lining everything but your roof! This could include surrounding your front yard with lights, lining a fence with lights, filling all of your landscaping with lights or lining just the windows with lights. •	If it’s too cold for you to be rummaging through your attic or prancing around your yard in the snow, outdoor decorations are not required! Decorate from the inside out. Place your Christmas tree or Hanukkah candles directly in front of your main front window, hang light-up fixtures in your upstairs windows or place a lit candle (you can even get electric ones that don’t require flame) in each window. •	Your front door is what separates your exterior’s décor from your interior’s. Make this an eye-catching masterpiece for your guests to admire while they wait in the bitter cold for you to answer the door. Cover the door in wrapping paper, and then decorate the paper with ribbon and bows to make it look like a giant present! Create a holiday scene with stickies on the glass door, hang a memorable holiday wreath or create a greeting with painted twigs or pine cones. Now that the exterior is taken care of, stay tuned for a blog with interior holiday decorating tips, coming soon! So it’s that time of the year again: the end of the holiday season and the beginning of yet another new year. You’ve taken down the mistletoe, put away the tinsel and packed up the artificial tree, probably not to see it again until next winter rolls around. There are no more Christmas parties to attend, no Hanukkah shindigs, no big New Year’s Eve bashes. But just because the holidays are over, it doesn’t mean you’re done entertaining. If you’re like most people, chances are you spent more than you meant to during the holiday season. It’s normal to splurge a little come Christmastime, but that just means you shouldn’t go crazy with the spending after the holidays. Stick to a budget, and use what you’ve got. From paper plates to festive decorations, chances are you can find most of what you need around the house. Things like wet bars and media rooms were made for entertaining. If you have special features like these in your home, use them! And if you’re lucky enough to live in an area without freezing temperatures and heavy snowfall, why wait until summer to entertain outdoors? Bust out the patio furniture and throw a backyard barbecue now to beat the winter blues! Whether it’s a potluck or a Super Bowl party, theme parties are a great way to get everyone involved. The possibilities are endless when it comes to theme parties, so be creative! If you can’t go outdoors, a beach or indoor Hawaiian theme might be a good way to counter the winter weather, while a wine-tasting party or a movie night is sure to keep things festive. The housing market tends to slow way down during the winter months, for numerous reasons. The holidays add multiple activities to our schedules. The weather is unbearable at times. Children are in school and don’t want to be taken out midway through the year. Overall, the winter is a hassle. But some homeowners don’t have the choice to wait. Sellers will always be selling for one reason or another. 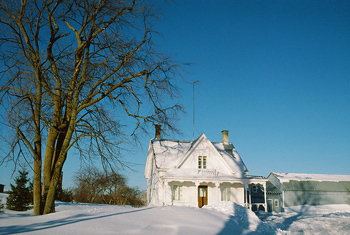 If a homeowner is choosing to sell during the winter, chances are the seller needs to move soon. He or she may be more willing to negotiate in many different areas, including price! There is a massive decrease of competition in the winter. You can take your time choosing a home and negotiating with the owner. Because the market is slow, you may have an opportunity to settle on a closing date that works best for you. Lenders usually have more free time during the winter. This may help the process run faster and smoother than usual. 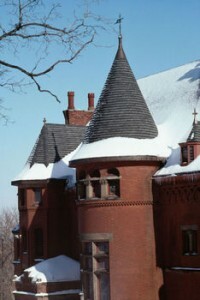 Viewing a home during the winter will lend you a true knowledge of this home’s build, roofing and insulation. You don’t want a new home with a soaring electric bill. With bare branches, you can really notice the surroundings of the home.  Open drapes, turn on lights and make the home as bright as possible. If needed, add lights to make sure the potential buyer receives a true vision of the interior.  If you own a fireplace, make sure a fire is brewing. Light candles, bake cookies or turn on holiday music. Add any aspect that will make the home homier.  Decorate for the holidays, but don’t go overboard. You want your buyers to concentrate on the home itself and not on your décor.  Set up photos of your home during other seasons so your buyers can visualize living there year-round.  Make sure your driveway and walkways are shoveled and salted so that there are no injuries!